If college taught me one thing (it didn’t,) it’s to not bury the lead (and not split infinitives). So, I’ll spare you from beating around the bush with The End Machine. Look at the album credits. George Lynch. Jeff Pilson. Mick Brown. Yes, the “Wild” Mick Brown. And Robert Mason. Not Don Dokken. It’s the classic 1980s “Beast From The East” lineup of Dokken with Robert Mason of Warrant on lead vocals. But the real story here is The End Machine is more about what it is than about who is absent. This is not just Dokken Frankensteined back together with a different mouthpiece. Not by a long shot. Last year, Dokken released a live recording of that classic lineup in a modern setting (you can read our review here, written by my brother, fellow Sonic Perspectives scribe and 30-year Dokken fan). And, without dwelling too much or being too negative, we’ll just say Don Dokken did not sound great on the live recordings, and got by okay in the studio songs. But the rest of the band – Lynch, Pilson, and Brown – sounded quite possibly better than they did during the Back for The Attack days. And while it was nice to see a heartfelt attempt at a decent reunion, sadly, it only really begged the question of what the band could sound like with a different (and sadly, more capable) lead vocalist. And, again, that’s sort of where this story seems to have begun, but not where it has ended up. The End Machine (stylized THE END machine) is a very tight unit, functioning on a high level. The band sounds great, as mentioned above, but they’re writing great too. In one of my recent reviews, of the new album from Last In Line, I mentioned how Jeff Pilson was the band’s producer on both of their albums. It wouldn’t be surprising at all if he had a hand in producing this one as well, because it sounds every bit as inspired and fresh, while still classic, as what his friends in Last In Line have been able to crank out. Considering three of the four musicians here have played together off-and-on for roughly 40 years, it’s no surprise the chemistry is palpable. And when one factors in Robert Mason having been a member of Lynch Mob alongside Lynch, (and the other two members having helped out in that band at various points,) it’s no surprise this new band feels like buying a new car but playing your favorite album on your first drive. The album artwork and production are modern and quite slick, in a good way, but the contents are straight-up rock ‘n roll. One thing working in these musicians’ favor is their subject matter and style have always been believable. 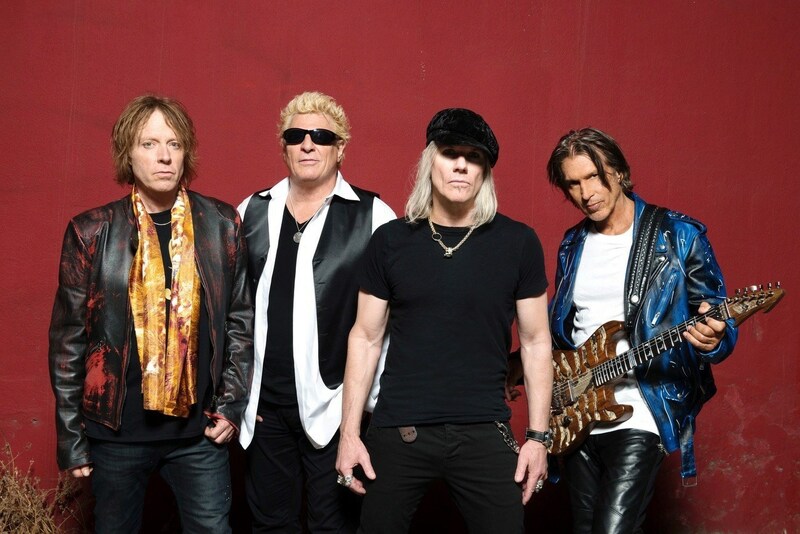 Between Dokken, Lynch Mob, and even Pilson‘s tenure in Dio, for example, they have always been about rock more than style, unlike some of their contemporaries from the ’80s who have been getting by on “the hits” in reunion tours for nearly two decades now. For starters, George Lynch (whose output with dUg Pinnick and Ray Luzier in KXM is some of the most underrated stuff out there these days) is one of the most beastly guitarists to ever walk the planet. There’s a reason his signature song is “Mr. Scary,” or why when Reb Beach succeeded him in Dokken, he joked that Lynch was this big, muscular, body builder shred monster and that Beach was just some guy named, well, Beach. And Lynch‘s playing in The End Machine is as good as ever. But as Pilson notes in the press release, Lynch is traveling into some heretofore unvisited universes in his guitar playing. It’s some really inspired performance going on. But more than that, the songwriting is obviously equally important to the performance here. Every song is good to excellent, with hardly an ounce of fat to be trimmed away. The choruses are bombastic and huge, and so catchy, with great melody. The verses have solid lyrics, not filled with trite “tough guy” lyrics, or poorly-penned love song rejects, and Pilson is all too happy to harmonize with Mason in the verses, even as seen in the music video for “Alive Today,” the lead single off of the album. “Burn The Truth,” one of the two longest songs on the album at over six minutes, has a desert-tinged acoustic vibe that evokes images of wind-swept canyons and mesas in the southwest. “Line of Division” sounds like a long-lost gem from Winger‘s Pull album, and that is high praise from this reviewer, as it could easily follow up “Blind Revolution Mad” or the trilling harmonica and deep rumbling bass of “Down Incognito.” And there are blasts of insane vocal prowess all over the album, such as “Hold Me Down,” where one might swear they just heard the godlike pipes of Jorn Lande, to realize it’s Robert Mason rocking us with raw emotion, confidence, and insane vocal control, as he will only continue to do for about eight or nine more songs. And all throughout, Pilson and good ol’ “Wild” Mick Brown show us why they were one of the best rhythm sections of the ’80s rock scene, and that they have only improved with time. Sadly, in 2019, the demand for this kind of music isn’t what it once was. But for those expecting an ’80s cash grab project, this is the farthest thing from that. For starters, it’s more straight-up ’70s AOR hard rock than it could ever be considered “hair” or “glam” metal (even though Dokken and Lynch Mob were always darker and heavier than their colleagues anyway) and The End Machine has more in common with even the mighty Alter Bridge and their legendary vocalist Myles Kennedy than any of the bands currently playing their moldy oldies on the county fair circuit. 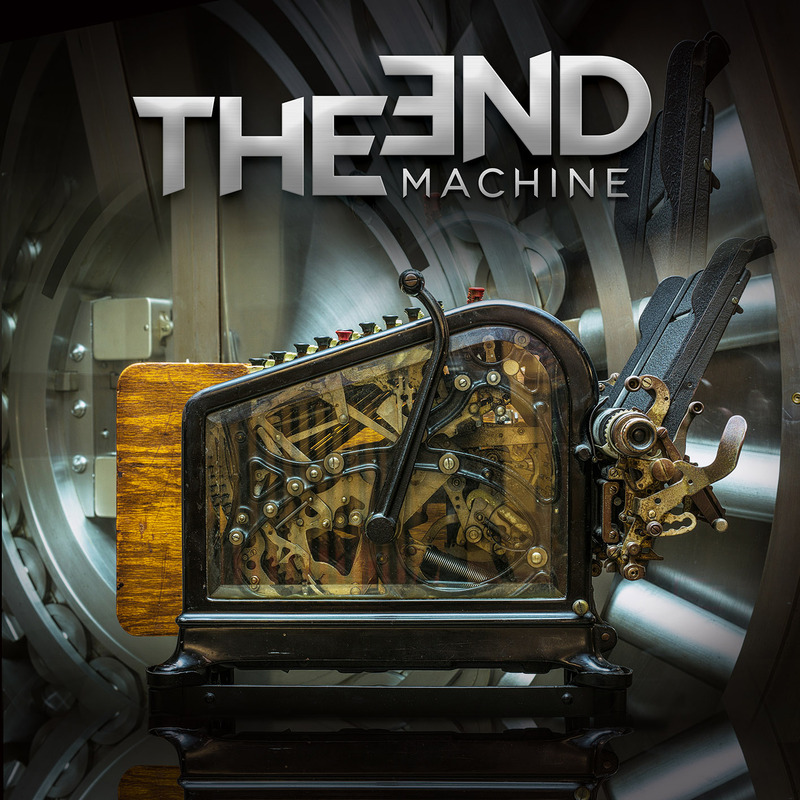 If you like dependable melodic hard rock, as is often the wheelhouse of Frontiers Music, but want it with a bit of grit, a bit of believability, and maybe a bit of respectable swagger, then The End Machine is something deserving of your time in 2019. As mentioned earlier, fans of melodic hard rock and metal are having quite a year so far, first with Last In Line, as produced by Jeff Pilson, and now his new project with George Lynch, Mick Brown, and Robert Mason, The End Machine. Quite simply, it just rocks and is a really good time. There aren't a lot of people making music like this nowadays, and most that are, aren't doing it nearly half as well as these guys. Amazing vocals and guitar work are the stars of the show here, with tight rhythm section work (and even some bass soloing from Pilson) locking it all down. The songs are all solid and memorable, and the musicianship is top-notch. Here's hoping The End Machine doesn't end after just one album.